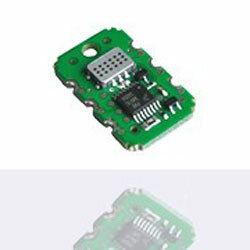 The MICS-VZ-89TE module from SGX Sensortech enables the process of detecting Indoor Air Quality simple. Using innovative metal oxide semiconductor chemistry supported by a MEMS, the core sensing technology offers a swift response to changes in the levels of a wide range of VOCs and, therefore, air quality. The low power module comprises an advanced signal processing algorithm to provide a range of outputs including I2C, pulse-width modulated and CO2 equivalent. Typical applications include intelligent control of HVAC systems, bathroom and kitchen fan control, portable air cleaners and purifiers, and vehicle cabin air quality monitoring.